Cement Industry Needs to Take Measures to Bring Down Carbon Dioxide Emissions | Merchant Research & Consulting, Ltd. Global and regional cement industries are coupled with multiple negative externalities among which the rise in cement-related CO2 emissions is considered to belong to the class of the so-called wicked problems. The world cement industry accounts for the second largest amount of industrial emissions after the steel industry. It is therefore vital to undertake urgent measures to monitor and reduce cement-related CO2 emissions in different parts of the world. There are several possible scenarios of how these emissions may continue in future, guided by different complex factors, contexts, and settings. Moreover, it is interesting to benchmark the best practice for cement-related CO2 emission reduction in both developing and developed countries. For instance, the analysis of the two examples – China and Norway – reveal specific outcomes. China is a prime emitter of cement-related CO2 with its cement industry being the largest in the world. This country has been implementing a huge programme for decarbonizing its cement industry. One can mention the following measures: the introduction of more advanced technologies of cement production; the first national standard (GB/T 32151.8-2015) regulating the GHG emissions originated from the activities of cement-manufacturing entities; control over the cement capacity utilization rates by keeping them within a reasonable range; reduction in out-dated cement facilities; efforts to regulate excess capacity; and more stringent environmental policy and its implementation at the national level. However, despite these measures, the total amount of cement-related CO2 in China has increased, and the upward trend remains unaltered. The main reason is the growing cement output, buoyed by increasing consumption levels. This happens notwithstanding the current slowdown in China, which affects the local construction sector. Norway features large achievements in carbon dioxide reduction domestically, especially in industry, but has a reputation of a large carbon dioxide exporter thanks to its significant oil and gas industry. The country boasts one of the most ecologically safe cement production facilities in the world – Norcem’s cement plant in Brevik, Norway, which uses Aker Solutions’ technology (the Norcem plant is owned by German multinational company HeidelbergCement). The plant is intended to get a status of the world’s first carbon dioxide-free and zero-emission cement unit (to begin operations in this status as of 2024). The company introduced a truly holistic approach in its CO2-combating efforts, upscaling each stage of the cement production. These included the implementation of carbon capture and storage (CCS) technology and the use of alternative fuels coming from waste. In highly CO2-intensive industry, it is a tremendous achievement to originate a carbon dioxide-free production facility. Such measures lead to the fact Norway’s carbon dioxide output has been remaining almost flat over the years, and this is despite extensive national infrastructure projects and activities of the local oil and gas industry (which is among the least CO2-intensive in the world as compared to oil and gas industries of other countries). Consequently, Norway’s experience in cement production might set an example for other countries. 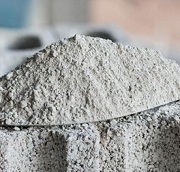 More information on the global cement market can be found in the insightful research study “Cement: 2019 World Market Review and Forecast to 2028”.